Galileo Organ 2 by Yonac Inc.
Today Yonac Inc. released Galileo Organ 2! This new take on the popular Organ app features an entirely redesigned physical modeling technique. 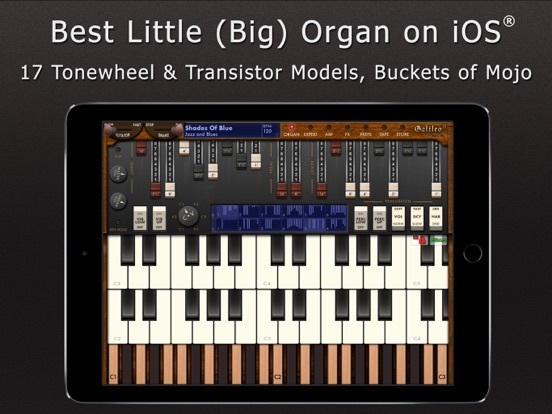 Unlike its predecessor, Galileo Organ 2 is Universal with both iPhone and iPad support. The app arrives with support for AUv3, IAA, Audiobus 3, Ableton Link, and MIDI. Doug Woods has already posted a demo this morning! Embedded here is the official video from Yonac. It sounds really good.Only thing I am missing is iPad pro resolution. But for this price, wow. It'd be more expensive for me, as I tack on the cost of a new(er) iPad. I guess it'll just be one of those things I look forward to when I finally add 32 more bits. But yea, I get what you mean about wanting to support Yonac.